For the last week or so my running has felt really off. No injury type of pain or anything like that. I'm just struggling to get the workouts done at the paces that I'm hoping for. And I figured that I can't be the only one who's gone through this mid-training cycle. So why not write about it and see if it can help encourage someone else too. It seems to me that one of the trickiest things for me lately is running solo. Especially when I'm doing my long runs. 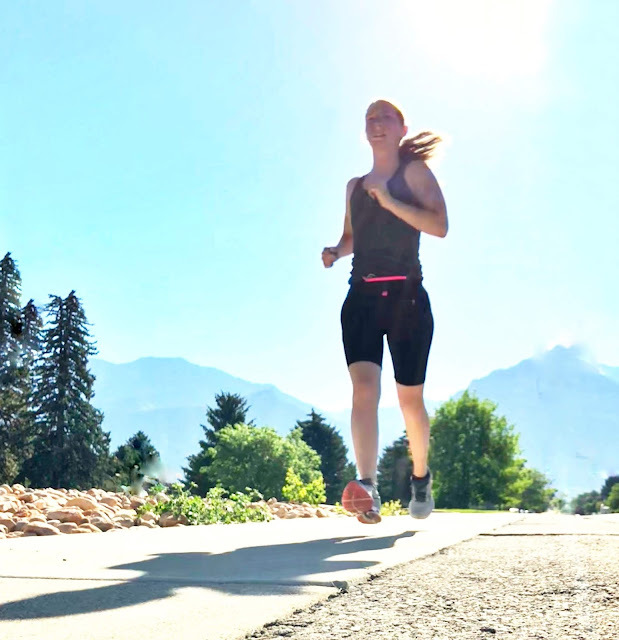 I'm starting to run out of options for where to run alone, and the idea of running double digits alone is a little daunting. But I have been able to finish the runs pretty ok. I'm also having a hard time waking up and going earlier again. I've been feeling really tired and it makes me want to sleep in a little extra. Then I go on my run and struggle through the heat. This is completely my own fault and I really should just be better at going to bed earlier. I'm working on that. The air in Utah is terrible right now thanks to a few fires burning and it all getting trapped in our lovely little bowl surrounded by mountains and no rain thanks to a drought. I love Utah, I was born and raised here so I know this is something that happens and not something that will be fixed by our growing population or by people carpooling. I just try to work around it. I'm not one to complain about it. But I am noticing an effect that it's having on my running. The training I've been using goes by time and not distance. This is something that I didn't expect to be much of a problem, but for whatever reason an 85 minute run sounds a lot longer than a 9-10 mile run. Is that backward? I feel like a lot of people do really well with time and not distance. But it's not working for me. I have to trick myself by converting it to about how far I'd be able to run in that amount of time and then telling myself I'm not running for that long, I'm running a certain distance. 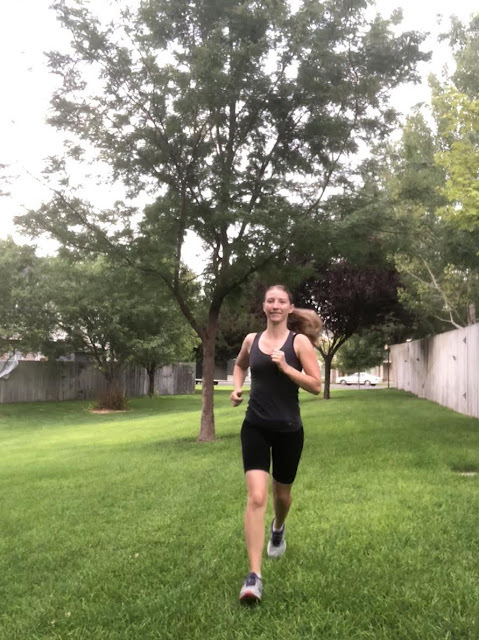 I took a week off when we went camping (normally I'll take my running shoes and do at least one run but I really felt and wanted to take a break this time.) and maybe that break made my body think it was going to get a longer break? All this being said, I am still seeing some progress. When I am hitting paces, I'm always surprised at how fast and consistent I'm getting again since having my kids. Which helps me know that it's just a hard patch and not a warning sign from my body needing a break. So I keep getting back out there and keep pushing myself harder. I wanted to share all of this in hopes that if someone else was having a hard week with their workouts they could read it and see that these things happen to all of us. It's a phase. It will pass. You aren't going to forever struggle that bad. The more we do something, the better we get at it and sometimes we have to have these uncomfortable weeks to break through bigger barriers and make bigger progress. 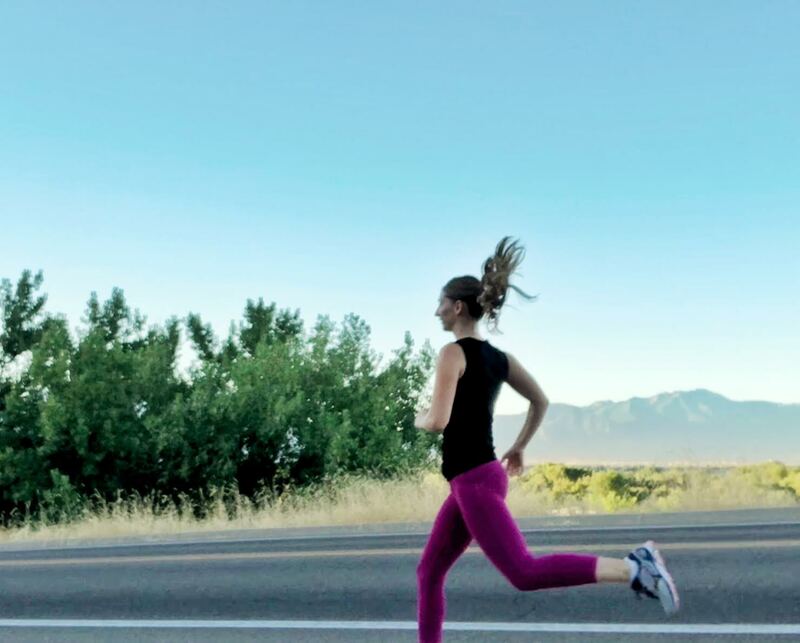 Every time you start to feel yourself struggle more than before (as long as it's not a pain from injury) remind yourself of the barriers you must be breaking down to get to where you want to be. We've got this! Who's training for something specific? At what point in your training do you have a hard week? When this happens to you, what is your go-to method to keep going? I hear you Jenny! I've been getting discouraged recently by the humidity and because sunrise is coming a bit later now, so I know that my days of running outside on weekday mornings are numbered and soon I'll be back on the treadmill. I remember how before I got married and moved last year that I felt like I had run every running route in the neighborhood and there was just nothing new to see. My running is 99% of the struggles that you describe and 1% hey progress. And somehow that 1% overrides the 99% and makes running so wonderful. YES YES YES! that little tiny bit of progress changes everything. I'm sad about the treadmill days coming for us again. I'm not ready for that. But let's enjoy this while it lasts! Thanks for reading, Have a great day! I've had a tough time this past month as well! I was on vacation and got back to Colorado when the smoke from southern colorado was blowing this way. I went for a couple runs and got extremely sick for 2 weeks. The air quality hasn't improved much. Now I feel like, hmm I shouldn't run in this air, and I should sleep later. I hope I get back into running soon because I don't get the same mood boosts from yoga like I do from running. I totally get that! And I hate doing long runs on the treadmill so I’m more likely to just not run when I’m feeling that way. Luckily one fire in our area is out. Hopefully they will all be out soon! Fire season is kind of brutal. I hope you get back to running soon! Have a fantastic day Emma!